Is there a way to earn easy and fast money? Is there a way you can get rid of your old car without regretting on the offer later? Is it possible for you to find an offer on your old and used car that is just too difficult to refuse? Well, yes! 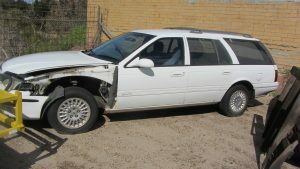 When you get in touch with highly recommended car wreckers in Perth you get all these perks and more. For someone who is looking to sell their old and worn out vehicle for more than a reasonable amount of sum, this can be a true blessing. Not many people know that there are several cash for cars companies in Perth that are functioning everyday without fail for the benefit of city people. Well, it’s definitely not a charity but you are sure going to earn a hefty amount out of it! And when you see those green dollars coming your way, you will indeed think that they are working for your benefit. How Is It Different From Regular Direct Selling? Everyone knows how direct selling of an old and used car works. You have to advertise your old and used automobile on probably every channel possible and also be available at home or wherever it is that your car is located to show it to all the interested parties. And the end result is a price that is not even close to what you had expected. This is why we say that what you get from a cash for cars company in Perth in return for your used car seems like they are just giving away heaps of money to people. Why The Staggering Amount For Your Used Car? Now a lot of people ask the same question. Why do car wreckers pay so much for a used car? The reason that they are able to pay you such a handsome sum for a used car is that they get compensated pretty heavily for the huge amounts of metal they are able to provide to manufacturers by the way of procuring cars from people like you. This makes them capable of offering you a rather generous amount of money for your used or accidental vehicle without any questions asked. As simple as that!